Sweet, spicy, salty…..this is bacon like you’ve never tasted before. 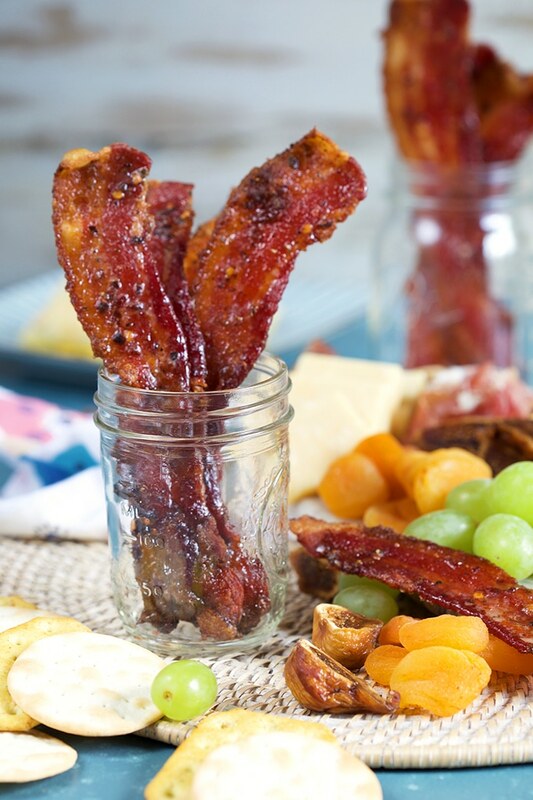 Sweet and Spicy Candied Bacon, also known as Millionaire’s Bacon, is a decadent treat you won’t be able to put down. Hands down, the best bacon ever with it’s crispy, sweet and slightly spicy coating…it’s a wonderful surprise at any dinner party and makes a great holiday gift. 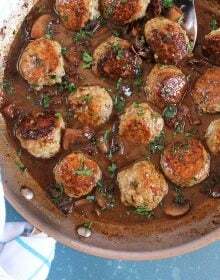 Note: This post was originally published on December 7, 2015 and updated with improved recipe and photos on November 20, 2018. It’s no secret that I love pork products…especially bacon. We eat bacon almost everyday here…besides coffee, it’s the only way to start the day…in my opinion (see above disclaimer). Ham comes in at a close second with eggs, bagels and pancakes a very distant tie for third place. 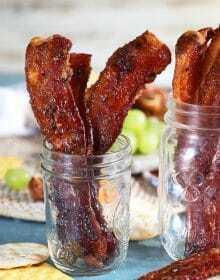 I can find just about any occasion to add bacon to the menu for any meal….breakfast, lunch, dinner and now snacks….this Sweet and Spicy Candied Bacon recipe is on repeat most of the month. A few years go I visited the bacon capital of the world in Smithfield, Virginia, I was immediately sucked into the small town vibe. Imagine all the movies you’ve ever seen in your life that have a “Main Street, USA” feel (Helloooooo Hallmark Channel Christmas movies!!! 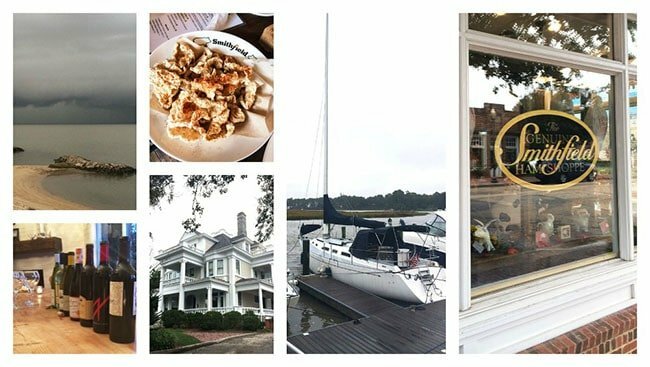 )…..then infuse with the smell of bacon and a hint of salty air….that’s Smithfield. Everything about this town is quaint, quiet and totally where you would want to raise your gaggle of children. I decided to take a historic walking tour of the town and learned about how the town was founded, the dirty little secrets hidden behind all the gorgeous homes (lots of gossip back in the day….lucky for them, social media didn’t exist!) and how the waterfront location helped to shape the industry allowing the town to become what it is today. I was moving here….totally…I found a house, looked it up and sent it to my husband. Let’s get to the bacon…because that’s why you’re all here. I always wanted to try my hand at candied bacon, I saw it on a travel show or the Food Network once and have been dreaming of it ever since. The version I saw was spicy, sweet and salty. My idea of the perfect food. 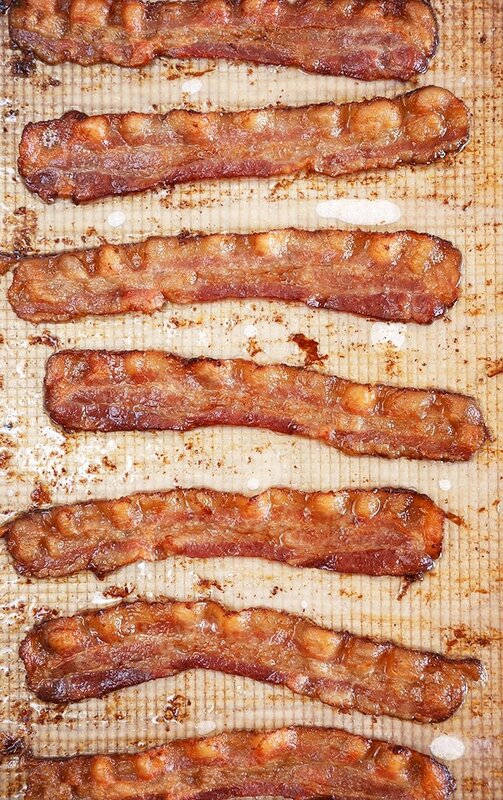 It turns out…it’s sooooo easy to make, you just need to make sure you use a thick cut bacon. The thicker cut will take longer to cook giving the sugar time to melt down and caramelize before the bacon burns. 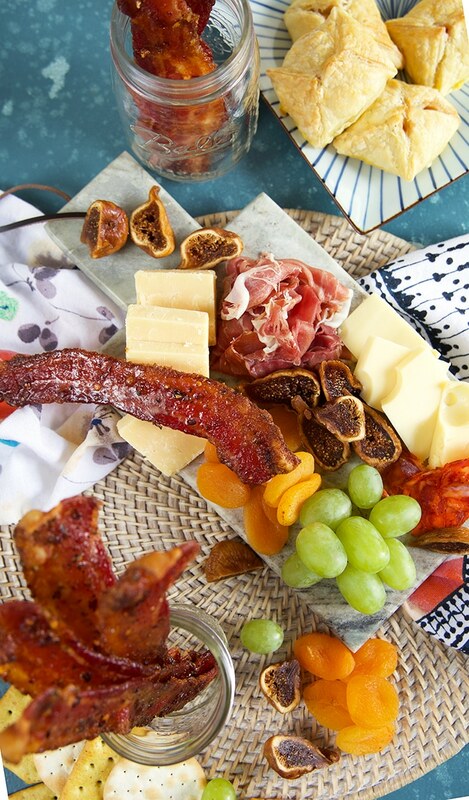 Millionaire’s Bacon is a sweet and spicy caramelized bacon that originated at San Francisco’s Sweet Maple restaurant. Coated in a brown sugar/cayenne pepper coating before being baked, this sweet and spicy treat is a fabulous addition to any party. How do you make Spicy Candied Bacon? Place a wire rack on a foil lined baking sheet. Arrange the bacon on the wire rack and sprinkle with the cayenne pepper, crushed red pepper and black pepper. Lightly pat the brown sugar on top of the bacon to create a thin layer. Transfer the baking sheet to the oven and bake for 30-40 minutes or until the brown sugar has melted and the bacon is crisp. Using tongs, transfer the bacon to a parchment lined baking sheet and allow to cool to room temperature. Store in an airtight container for up to 3 days at room temperature. What do you serve Millionaire’s Bacon with? This Pear Salad is so totally extra with a sprinkle of candied bacon. Layer it on your favorite BLT for an updated twist! 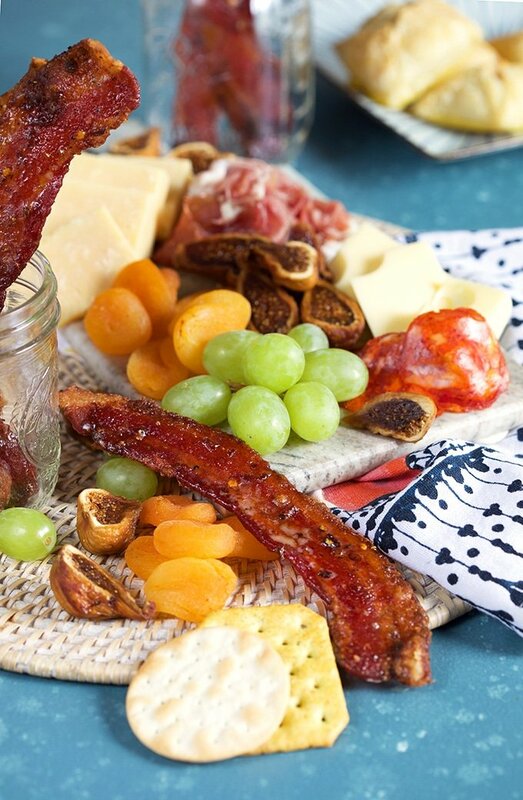 This Sweet and Spicy Candied Bacon (Millionaire’s Bacon) is the best thing since…well, bacon. I, really, didn’t think bacon could get any better but it can…and it did. It makes gift giving totally easy when you skip the cookies and fill a cookie tin with Millionaire’s Bacon. Your host or hostess won’t want you to leave….like EVER. If you just want bacon….just pure and simple bacon…..make sure to try this method for the most perfect, crispy bacon you’ll ever sink your teeth into! 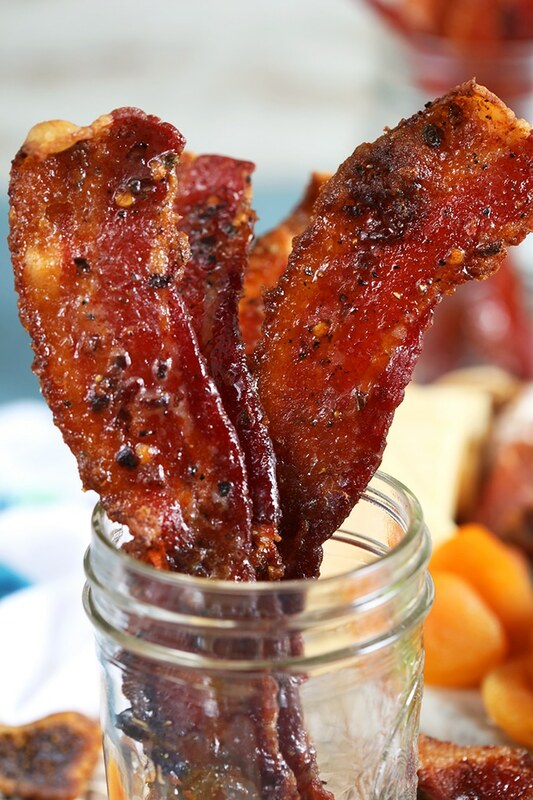 Lovingly known as Millionaire's Bacon, this Sweet and Spicy Candied Bacon is a cinch to make! Transfer the baking sheet to the oven and bake for 30-40 minutes or until the brown sugar has melted and the bacon is crisp. Remove from the oven and allow to cool for 10 minutes. Using tongs, transfer the bacon to a parchment lined baking sheet and allow to cool to room temperature. 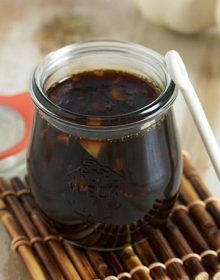 Store in an airtight container for up to 3 days at room temperature. Oh yum!!! This looks soooo good! 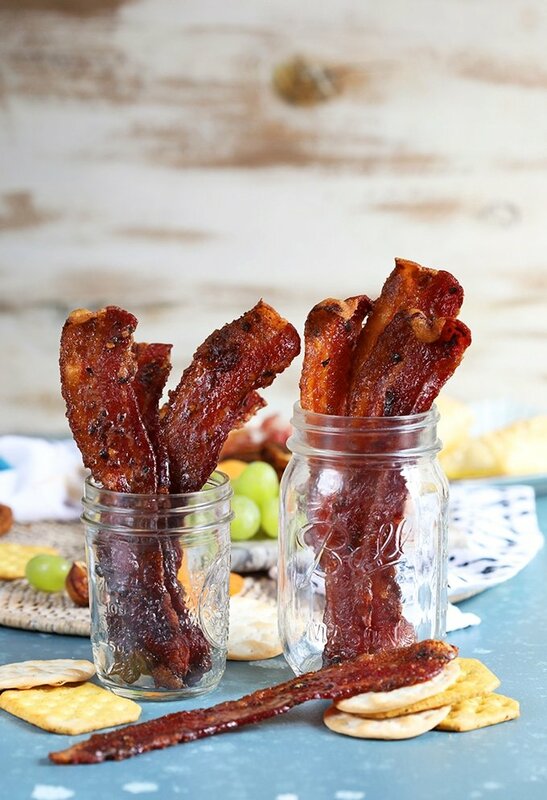 I love to make candied bacon to put as a garnish in bloody mary’s!! 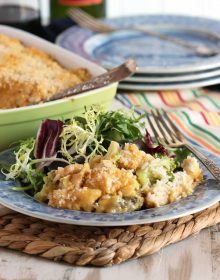 Love seeing this recipe – it reminds me that I need to make more soon! Oh Lordy-such a great idea…will definitely try it! This bacon looks delightful. I do something similar, except it’s all sweet and you drizzle with maple for the last few minutes of cooking. It’s crispy, salty, sweet perfection! There has to be a typo in this recipe!! I made this the other day, and it was so hot and spicy it literally burnt your mouth! I like spicy foods, but this was crazy. Lol. I ate 2 pieces because it was addicting, but afterwards my mouth was on fire for over an hour. At thanksgiving dinner I had family try and none of them could take more than one bite. I would suggest unless you are making this as a challenge dare food, you cut down the peppers by a lot!! Hi Ashley! I’m so sorry you felt the spice was a bit much. 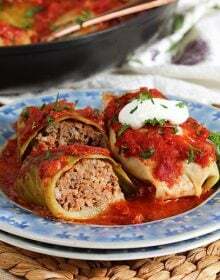 We love our food spicy so I tend to go heavier than I think when creating recipes because you do build a tolerance to the heat level over time. Feel free to cut back on the spice if you like a milder flavor. I hope you give it another try because it is fantastic if you’re not adverse to heat. How long can you store the candies bacon? Does it have to be refrigerated? You can store them for up to 1 week at room temperature in an airtight container. Haha serving size “one slice of bacon”! So yummy, impossible to stop at one slice. Ha ha ha!!! It is definitely addictive! I cooked my bacon 40 min. The taste is amazing (I omitted the red pepper flakes) – super spicy. It’s now completely cooled and is still fairly wet on top and not crispy. The bacon is cooked. Do you think I used too much sugar or it needed to cook longer? I was testing it today for a brunch I’m hosting in a few weeks. Thank you! Yours does look a bit darker than mine. Maybe I needed to cook longer. I didn’t want it to burn. I cook it until crispy and almost to the point of burning. You do have to keep your eye on it at the end. I think you’ll need to cook it a bit longer. It will dry out a little bit then you can blot a bit with a paper towel but be careful because it could stick! Candied bacon is amazing. I made some doughnuts with maple glaze and popped some of this on top. SO GOOD. 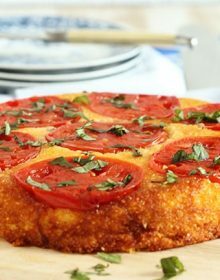 This recipe is so good! Thanks for sharing this yummy bacon idea! Best idea for bacon ever! It always disappears in no time here! Looks really tempting!!! I find it quite familiar with a dried fruit with oil. However, I think that 30 minutes for some pieces is quite long. Could with use with the pan on the stove? I’m not sure it would work on the stovetop but you can give it a try! Best way to eat bacon in my opinion! The sweet and spicy pairs so well together! This bacon would be gone in a second in my house! It doesn’t last long here, either. This is calling my name!! Looks so good!